Truth, Ahimsa or Non-violence, love, brahmacharya or chastity, non stealing, non-possession, fearlessness, removal of untouchability, bread labour, tolerance, humility and so on were the eleven vows put forward and practiced as principal Ashram observances which Gandhi prescribed for a true Satyagrahi and for every person to practice. During his incarceration in 1930 in the Yervada Central Prison, Pune (India), Gandhi wrote weekly letters to the Satyagraha Ashram, containing an explanation of the eleven vows as Ashram influences had already travelled beyond its geographical limits. These letters were written in Gujarati. There was a demand for translation into Hindi and other Indian languages and also into English. Shri. Valji Desai has translated the letters into English. 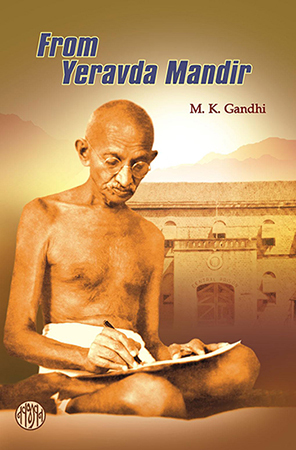 Gandhi, in this book attempts to put forward the concepts and practices to be adopted as principal Ashram observances in the context of truth, ahimsa or love, chastity, control of the palate, non-stealing, non-possession or poverty, fearlessness, removal of untouchability, bread labour, tolerance, humility, importance of vows, yajna or sacrifice and swadeshi. His writings about such fundamental questions are as relevant to modern and western readers as they were to their original audiences, i.e the inmates of Satyagraha Ashram. Gandhi’s founding of swadeshi, a principle of commitment to local economic activity with roots in ancient India, strikes an important contemporary chord as the world moves towards gobalisation.